In last topic, we gone through with the VMware vSAN introduction. Here in this article I came with the more information what I came across to know during my learning. This is also basic and must needed information you should aware if you are going insight of vSAN. Here you go, let's have a quick insight of it. In hybrid mode of deployment, we will use all magnetic disks. However you must have one SSD disk for caching use. It means you should have 1 SSD disk and rest will be magnetic disk. In all flash mode, all disks must be SSD. Out of all disks, you will use 1 disk for caching purpose, and rest will be for disk pool. VMware VSAN works on cluster basis. In a single cluster there can be maximum of 5 Disks groups. In each disk groups, there can be maximum 7 disks for data control, and 1 disk for caching use. It means you can have 8 disks in each disk group. Every disk group must have 1 SSD disk. There must be atleast 3 ESXi hosts in a cluster. 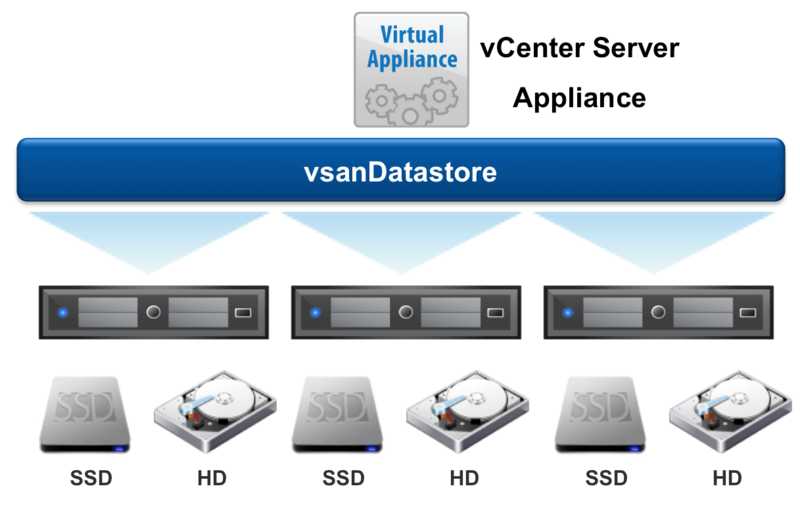 You enable VSAN on VMware cluster.